The Australian government is fighting to keep secret the amount it paid to fight a legal battle with the tobacco industry over its plain packaging laws. Philip Morris, a tobacco multinational, used a clause in a Hong Kong-Australia trade deal to sue the Australian government over its Gillard-era plain packaging laws. It eventually lost the case, but the Nick Xenophon Team (NXT) political party has since attempted to find out how much Australia paid to fight the case in The Hague. NXT is concerned the newly signed Trans-Pacific Partnership – which contains similar clauses to the Hong Kong deal – could prompt similar actions against the Australian government. Nick Xenophon, while still in the Senate in 2016, lodged a freedom of information request to determine the full amount Australia paid in legal costs. It has been reported to be as high as US$50 million. The federal government has resisted releasing the information, but was ordered to disclose it by the information commissioner this year. NXT senator Rex Patrick said the Department of Health lodged an appeal in the administrative appeals tribunal this week to prevent the disclosure. He described the position as a “delaying tactic”. “The government’s plans may well backfire,” Patrick said. “Hiding relevant information from the parliament is not a good tactic. Philip Morris lost the case against Australia in The Hague. Last year, it was ordered to pay Australia’s claim for legal costs. Australia successfully argued Philip Morris had to pay its court fees and expenses, the cost of expert witnesses, travel, and solicitors and counsel. Australia had told the court its claim for costs was modest and was a small proportion of what the tobacco giant had sought in damages. But Philip Morris argued that Australia was asking much more than other countries, including Canada and the US, which had never claimed more than US$4.5 million and US$3 million respectively in costs and fees. 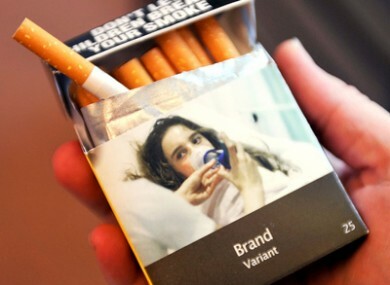 Philip Morris argued the plain packaging laws violated the terms of a 1993 trade agreement between Australia and Hong Kong. It argued a ban on trademarks breached foreign investment provisions. The case was launched using so-called investor-state dispute settlement clauses, which are also contained in the new TPP, signed on Friday. The new TPP has specific provisions that prevent tobacco companies from suing Australia over its tobacco control laws. But the Public Health Association of Australia (PHAA), among others, fears the deal will allow other corporations to sue Australia. “While there are generalised protections for regulatory measures, and specific measures to prevent tobacco companies from being able to challenge Australia’s tobacco control measures, public health policies in other important areas are not excluded from being challenged,” said PHAA spokeswoman Belinda Townsend. Oh for goodness sake. Why re-post an article with such a misleading headline? You know full well that PMI cannot raise a dispute under the TPP against Australia.